I recently stayed in a hotel in my own city. My partner and I were having a weekend ‘away,’ and figured the fact that we were venturing out of the house, without our child, was cause enough for celebration. But there was also a desire on both our parts to stay within London, knowing that when you do ‘visit’ where you live, you suddenly see the city altogether differently. That and well, staying in your own city is cheaper, and these days that's pretty darn enticing. 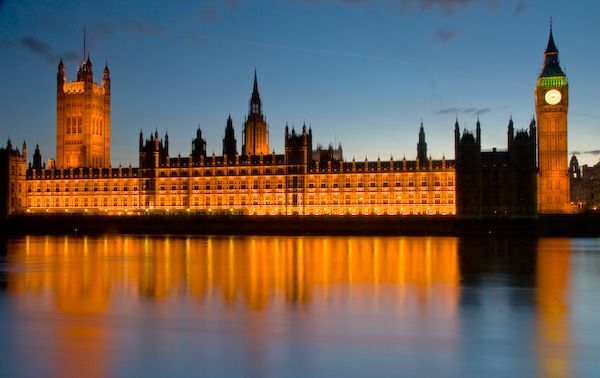 Purposefully – and because the man is ace and knows it is my favorite view – we booked a hotel in a completely different part of London with a view of the Houses of Parliament. As I said, it’s one of my favorite areas and as far as I’m concerned the architecture, and cityscapes around those parts are unparalleled. Sit down Paris (alright fine, who are we kidding, but it’s a close second). Aside from the fact that hotel living is a gift in itself – seriously, what is greater than checking into a hotel room and knowing you don’t have to clean it and people will actually bring you food on demand? – there is something enlightening about seeing your city as a tourist, if you will. Suddenly you see your city from a totally different vantage point –its like a lover that you’ve been sitting on the sofa with for years, both of you in your boring old sweatpants, and then suddenly you go out wearing something nice and you actually see one another; furthermore, when you vacation in your own city, you take your time when you’re going somewhere (amble, I think is the word), and you actually take in the views the city has to offer cause you’re not stuck in your own well-carved out routine. You find yourself noticing things you never noticed before and saying touristy phrases like, ‘oh my god, isn’t that building amazing?’ as you walk around the streets. We even broke out the camera and took a photo of us standing in front various tourist sights just to mark the occasion. I’m not sure if half of this enthusiasm was fueled by the fact that we knew we did not have to change a diaper, wipe a nose, or figure out what to feed a fussy toddler for a whole 24 hours. I’m sure it was partly that, and partly the fact that we were finally seeing London as it should be seen. It got to the point where I was so excited to actually be out with my partner after nightfall (I swear I felt like I was breaking curfew or something), that I forgot I was wearing heels and encouraged us to walk a mile back to our hotel so we could soak up the lights and sights as we made our way across the river. I paid dearly for that mistake in the morning when my blistered feet reminded me that I was not Posh Spice. But, needless to say, it was all worth it. So any of you needing a break out there, I highly advise checking in to your own city. You’ll see her with a whole new set of eyes, I promise you that (of course depending on where you live this could be terrifying or life threatening, but let's end on a positive note! ).